Museums are key architects of Canadian heritage and culture! What would Canada’s museums and galleries look like if we defied conventional wisdom, took greater risks in how we deliver, facilitate and select cultural stories, programming and content, and really changed our game? you have the resources to make things happen. 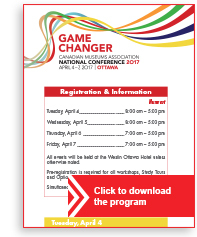 In April 2017, we came together in the nation’s capital, Ottawa, to share ideas, voice suggestions and formulate strategies of what we as museum professionals can do to change the game. Senator Murray Sinclair delivers a Keynote at the Canadian Museums Association National Conference 2017 in Ottawa, Ontario — "It is Up to You to Climb this Mountain." Minister of Canadian Heritage, Mélanie Joly delivers a Keynote at the Canadian Museums Association National Conference 2017 in Ottawa, Ontario. CMA Awards of Outstanding Achievement 2017. Developing successful commercial activities has become a crucial area of museum operations and when done successfully can generate significant income but competition is getting tougher and consumer spending is down. At the same time it has become all about the visitor experience. People working in museums need to keep up-to-date with trends, understand the wants and needs of their visitors and make the appropriate decisions. 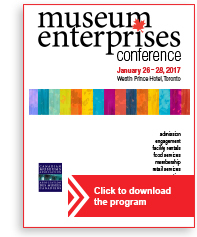 MEC 2017 has been specifically designed to develop your business confidence and entrepreneurial skills that will help maximize the results of museum-based commercial activity in your institution. in essence, to learn from our knowledgeable keynote speakers and from one another! Through a mix of presentations, round tables, open forum discussions and networking opportunities, an extensive list of topics will be addressed. If you are involved in revenue generation, retail and food operations, visitor services, admissions, membership, rentals and special events then this is the Conference for you! 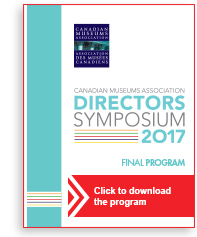 The Canadian Museums Association (CMA) 2017 Directors Symposium provides CEOs and Directors of Canada’s leading cultural institutions a unique national forum to frankly discuss critical issues behind closed doors. The Symposium is predicated on the belief that the leaders within our community will greatly benefit from networking opportunities, while learning up-to-date information about critical museum issues. As well, time has been set aside for Open Forum discussions where hot topics and critical issues can be raised. 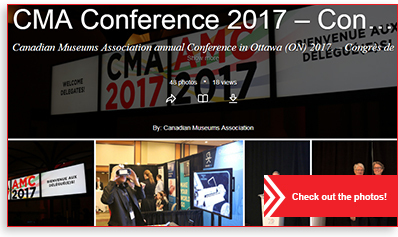 The fourth annual Symposium was coordinated by the CMA, and was hosted by the Canadian Museum of History and the Bytown Museum on Tuesday, April 4, 2017. 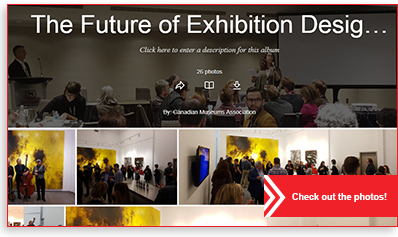 On November 20-21 museum professionals from across Canada will meet in Montréal to discuss the future of exhibition design in Canada. Together we will explore design challenges museums and galleries are facing, and collectively imagine solutions for the 21st century visitor experience. Through a mix of presentations, an extensive list of topics will be addressed. Facilitated round table discussions will be the cornerstone for the Symposium. What will be the impact of technology on exhibition design? Visitor expectation and how does it affect design? How and why do you integrate objects into exhibitions? 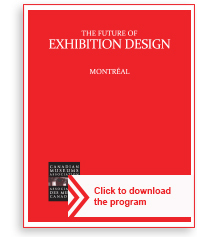 Is there a difference in designing for various types of exhibitions? How do you become innovative and address the challenges of design within your own limitations? What are the innovations in lighting, colour and new materials? At the conclusion of the Symposium, delegates will leave with a comprehensive understanding of the practicalities, solutions to logistical challenges and an expanded network of collaborators and partners. The Symposium is particularly recommended for museum professionals involved in any aspect of exhibition design — designers, curators, project managers, interpretive planners, architects and fabricators.